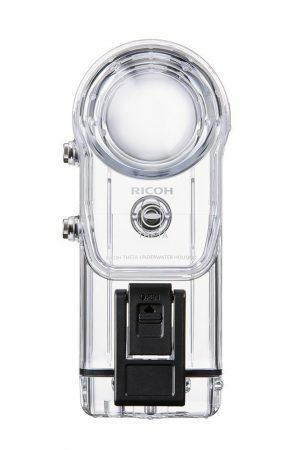 Ricoh TW-1 Underwater Housing (new Theta waterproof case) now in stock! The Ricoh TW-1 underwater housing — the new waterproof case for the Theta — is as far as I know the best underwater case for consumer cameras, and it’s now available and in stock! Get it before it’s gone! Shooting underwater poses many challenges, one of which is refraction. Due to refraction, the field of view of a lens underwater becomes much narrower. For 360 cameras, this creates very large blind spots along the stitch line. People or objects anywhere near the stitch line disappear. There are now several waterproof 360 cameras such as the GoPro Fusion, Garmin Virb 360, and Nikon Keymission 360. While these cameras can be used underwater even without an underwater housing, none of those cameras correct for refraction, therefore the stitching looks quite rough. 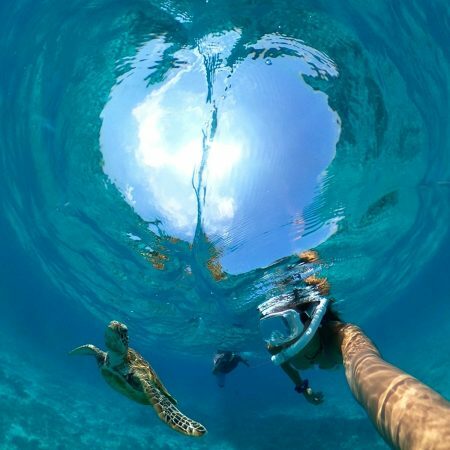 Even some cameras with dedicated underwater housings such as the Elecam 360 don’t correct for refraction. Although you can see the underwater housing in the nadir, the stitching itself is seamless. 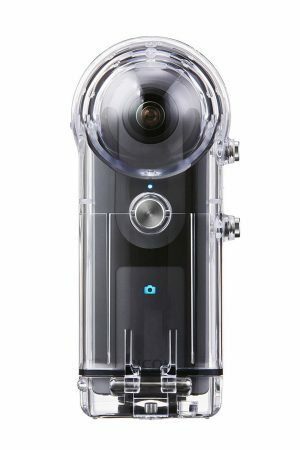 The only other consumer 360 camera I know that is capable of underwater stitching is the Kodak SP360 4K Dual Pro (when used with its dedicated underwater housing). However, even the Kodak has difficulty stitching for objects closer than about 5 feet from the camera. On the other hand, the Theta appears to be able to stitch even nearby objects. At $200, the TW-1 is not cheap, but even with the cost of a $399 Theta V, the total cost is still one of the most affordable 360 camera kits that can stitch smoothly underwater. I ordered the TW-1 myself and will be testing it this coming Saturday with the Theta V and Theta S. I will be comparing it especially to the waterproof case for the Insta360 ONE. Normally, I would suggest to wait for the results of my test. However, this case is in such high demand that I would recommend to just go ahead and order the TW-1 (assuming you have a Theta or plan to get one), and return it if necessary. will it work with the LG 360 ? Will this work with the 2017 Samsung Gear 360?